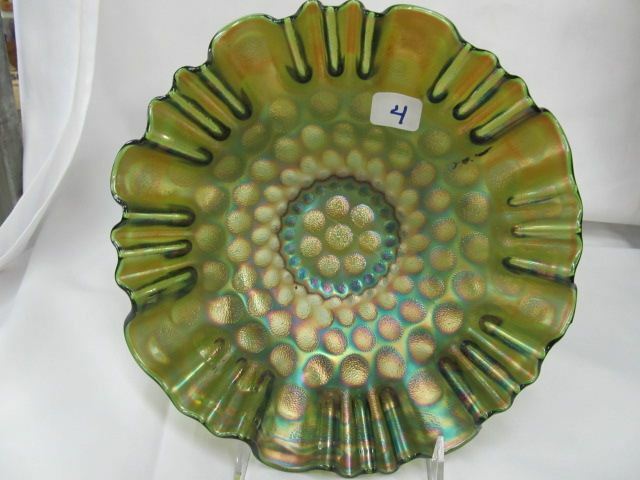 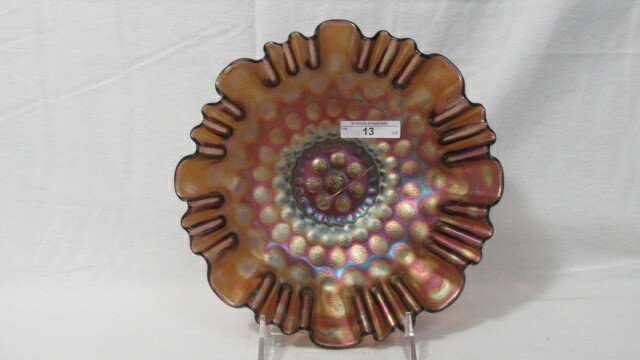 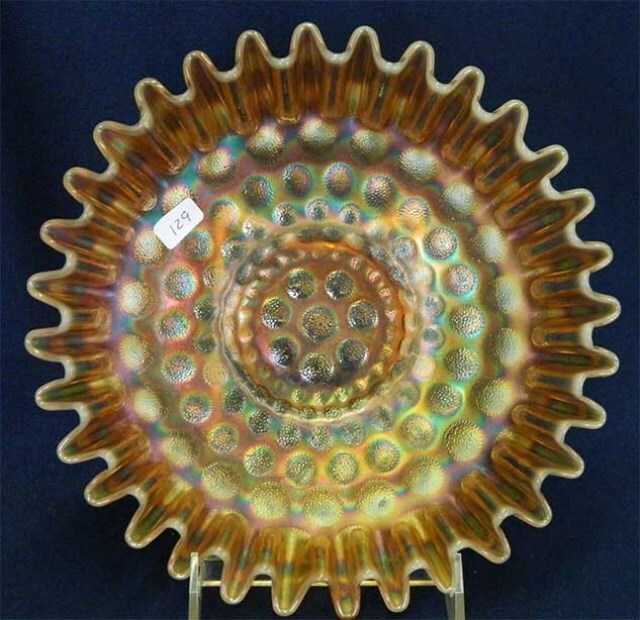 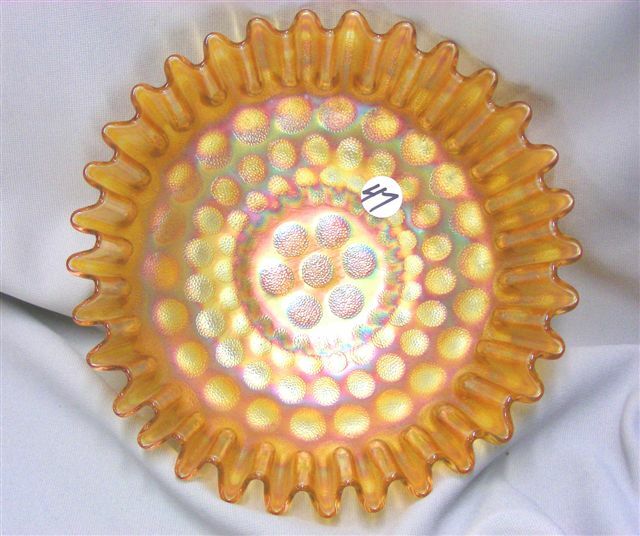 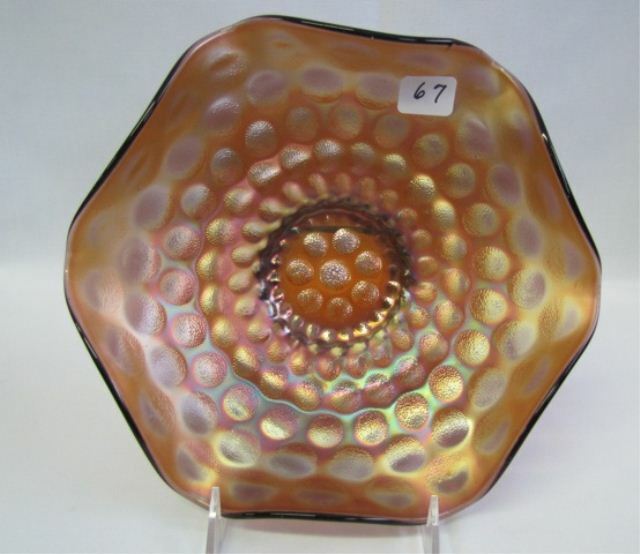 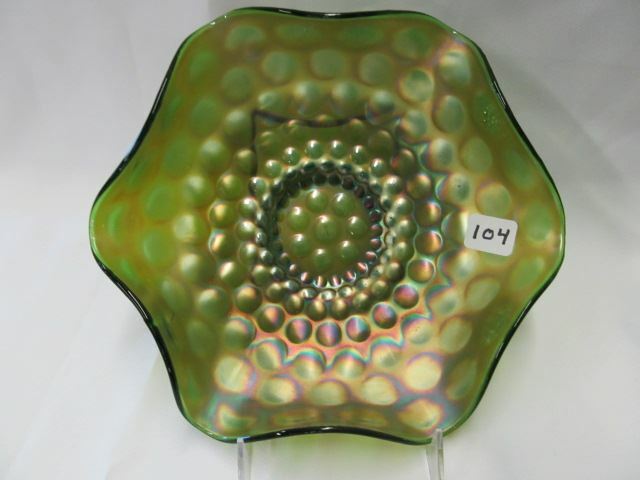 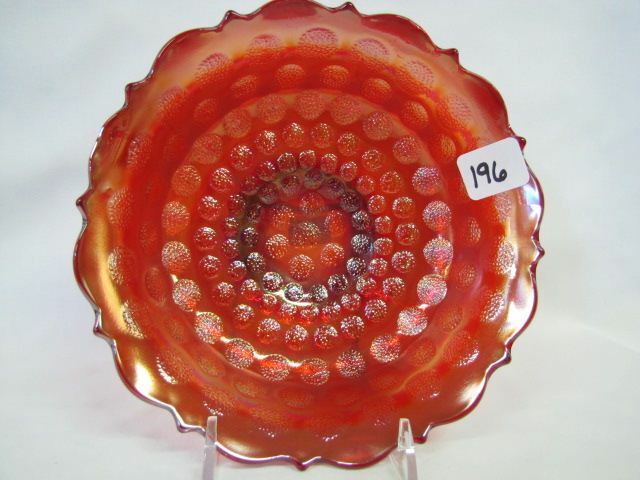 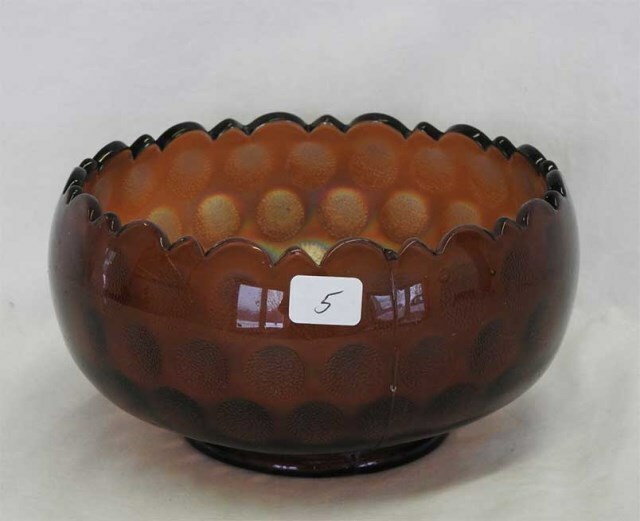 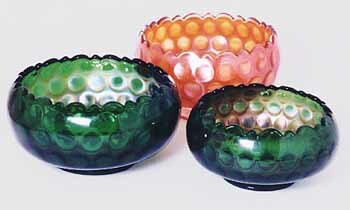 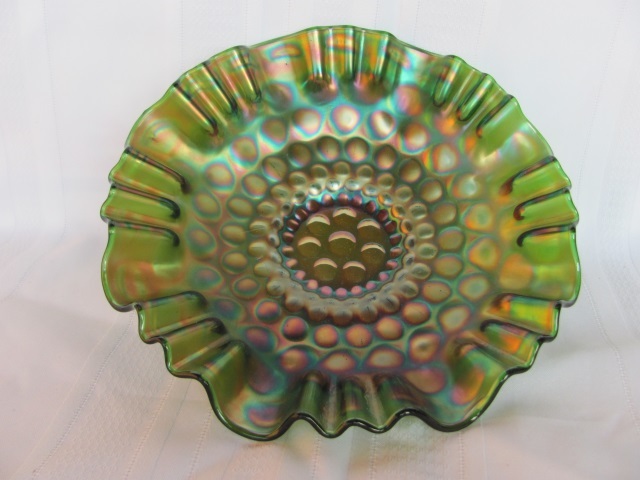 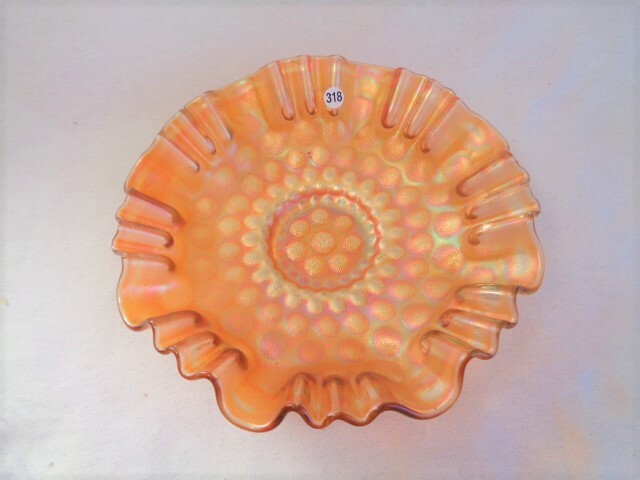 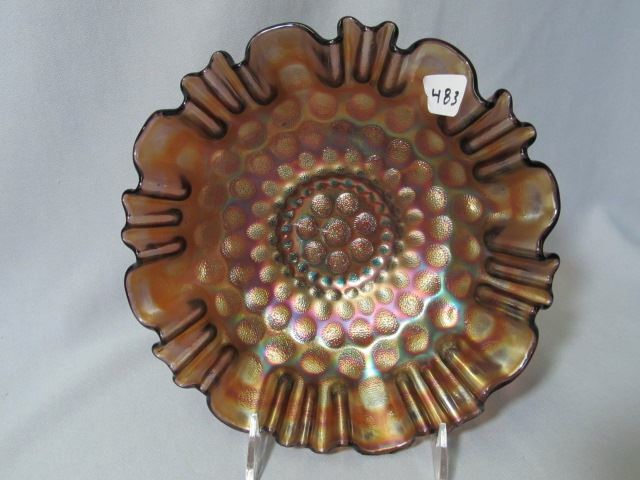 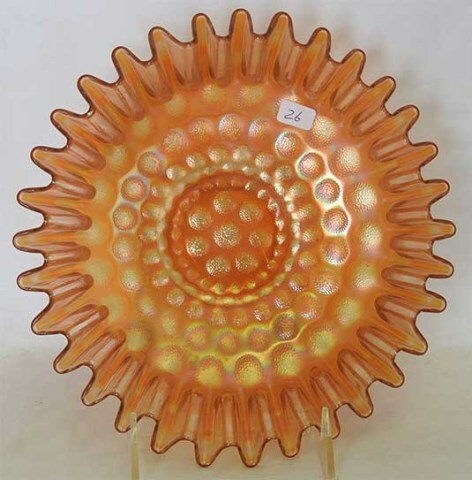 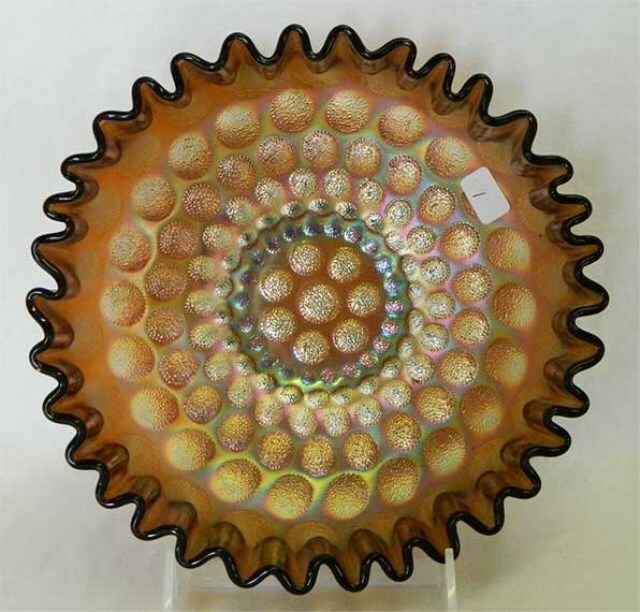 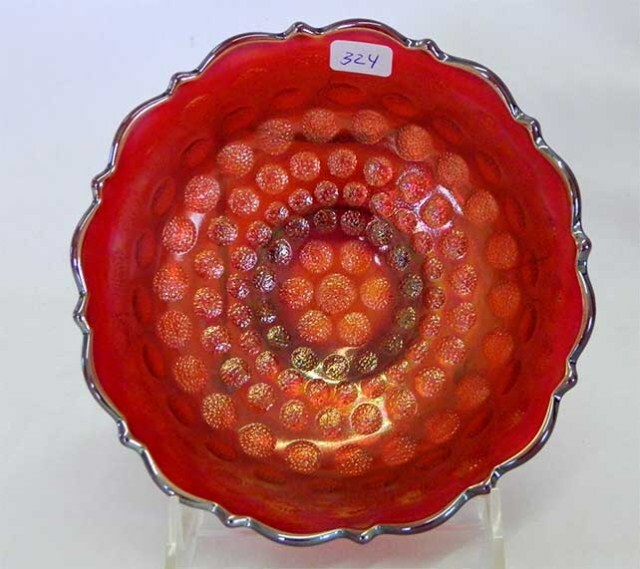 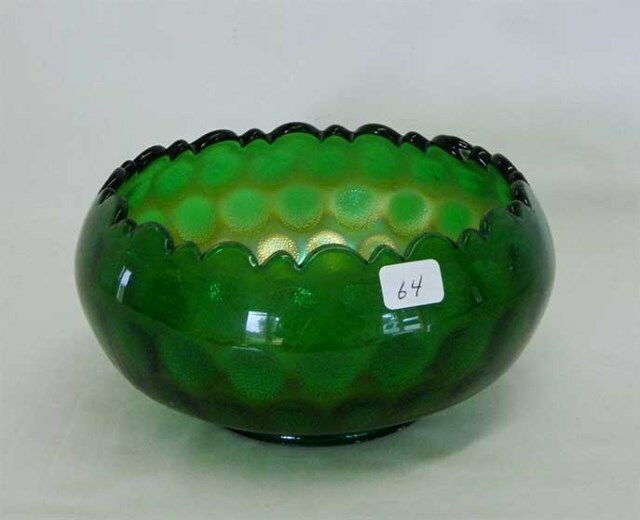 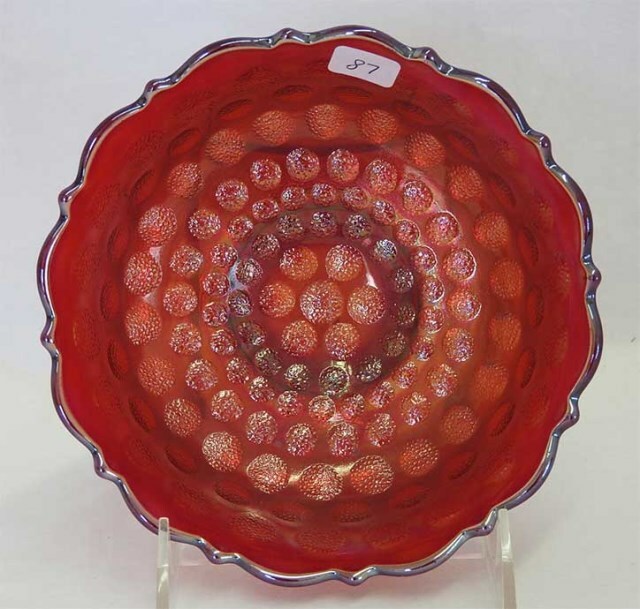 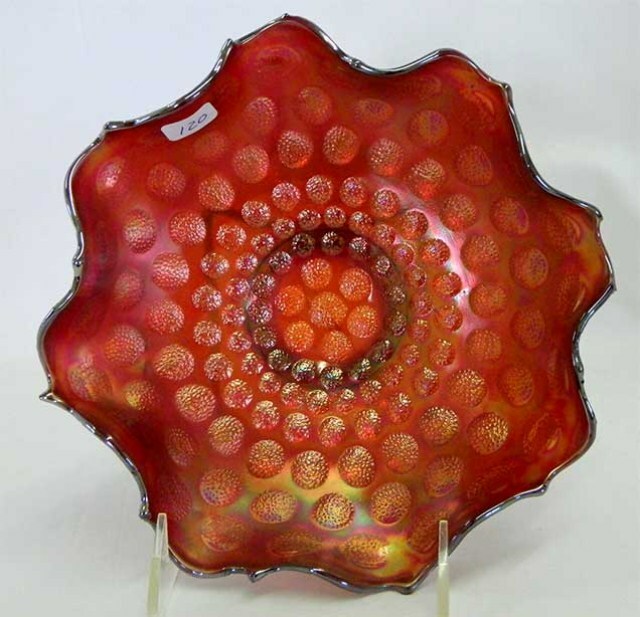 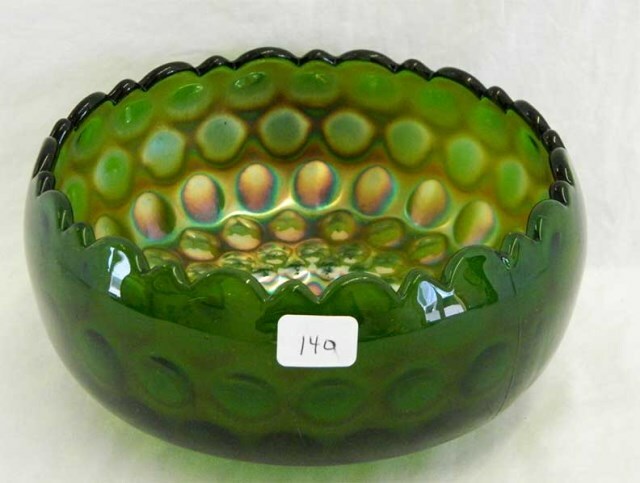 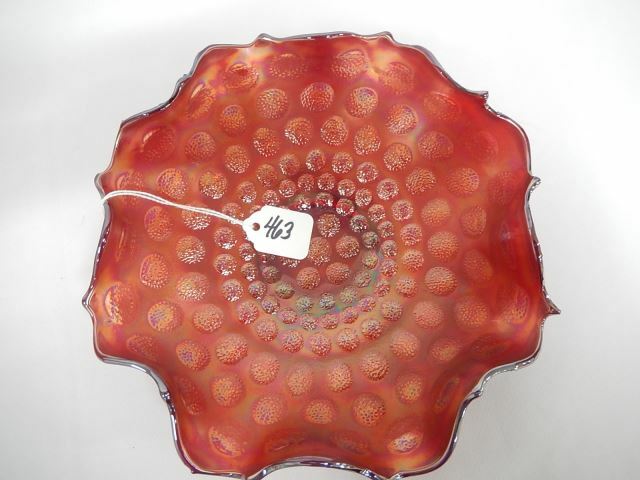 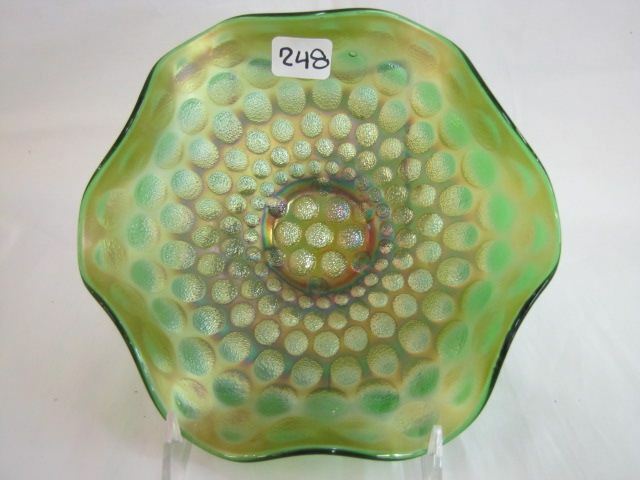 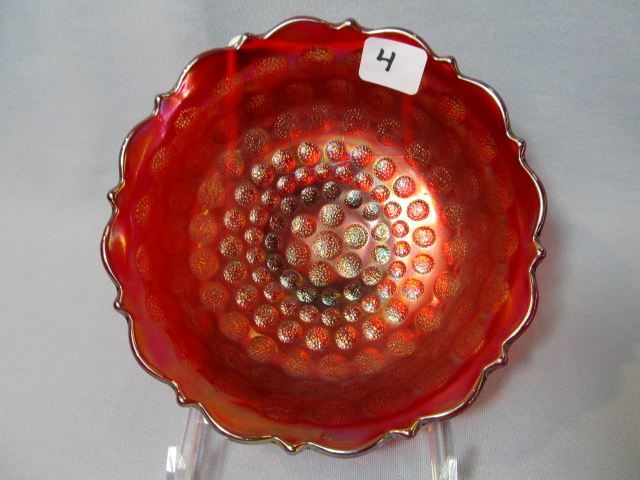 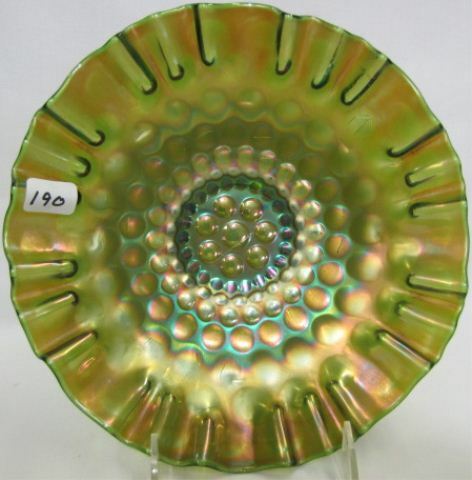 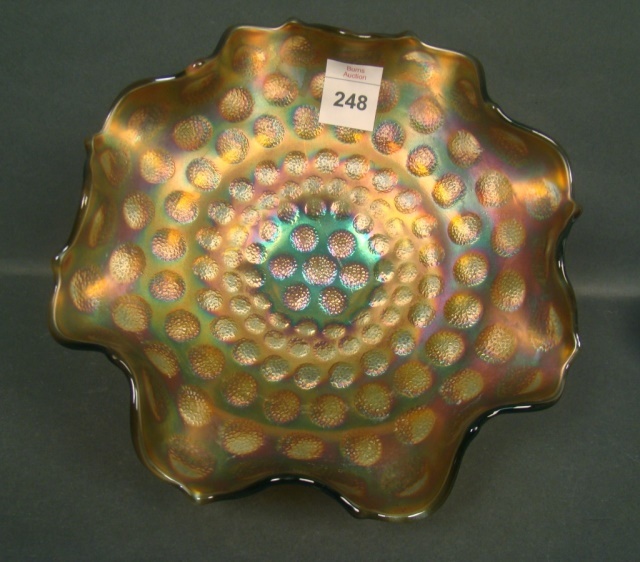 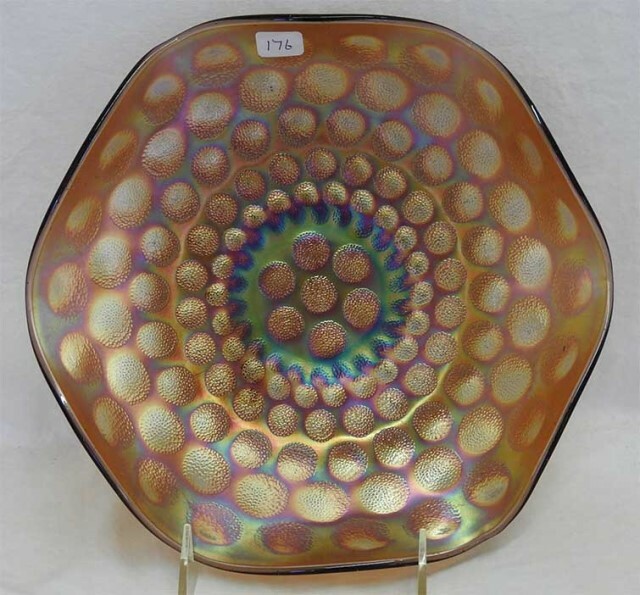 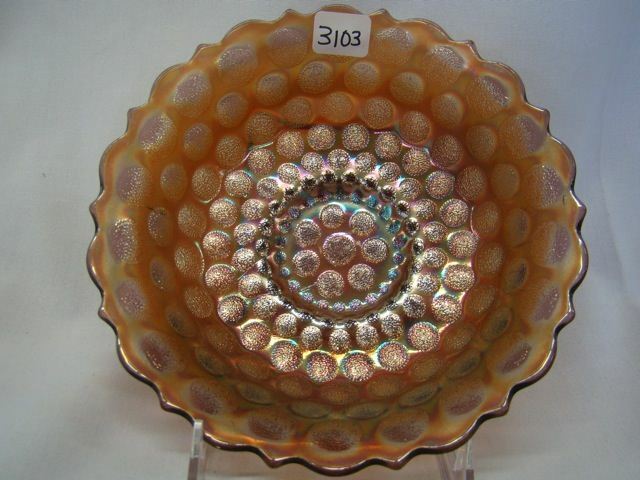 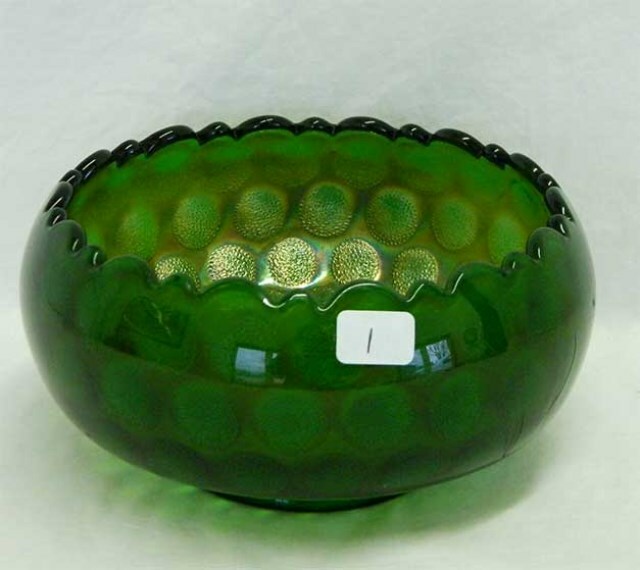 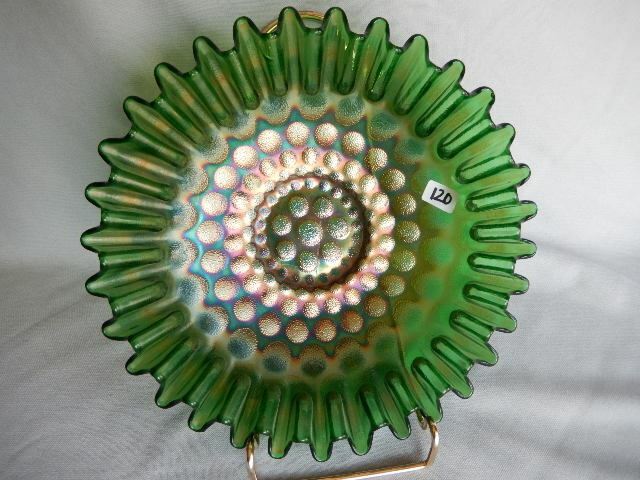 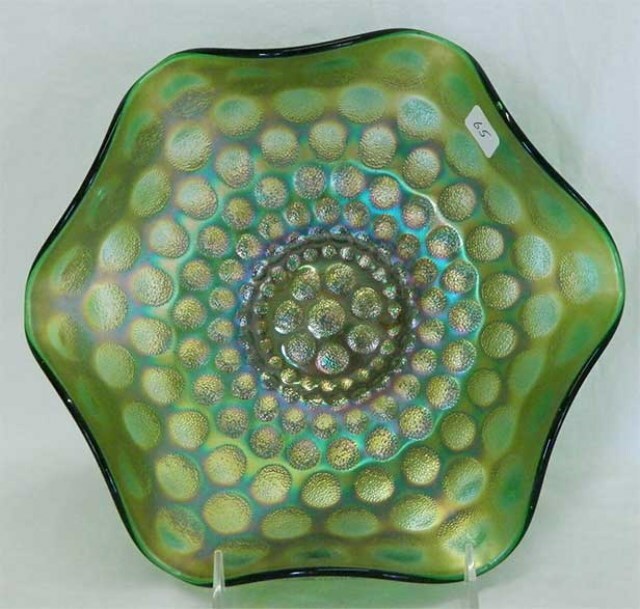 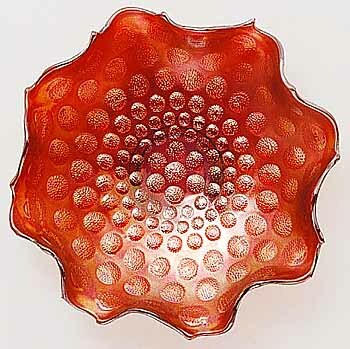 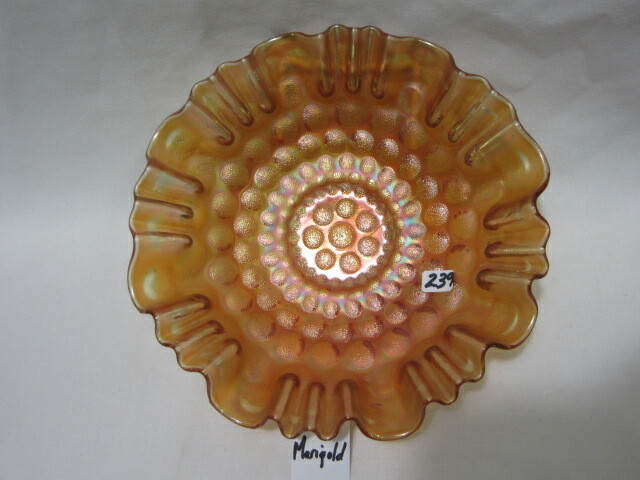 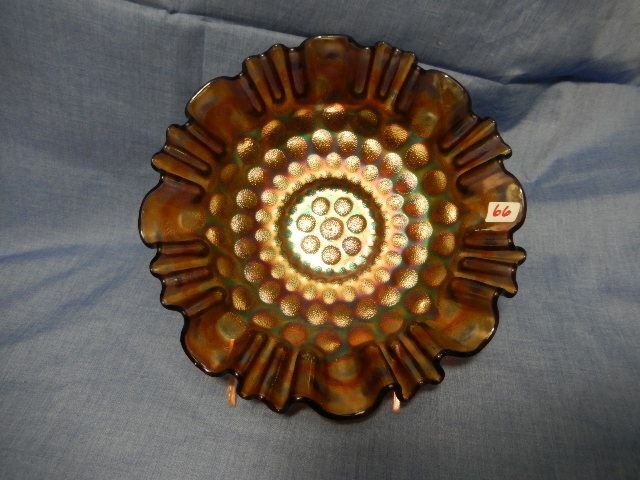 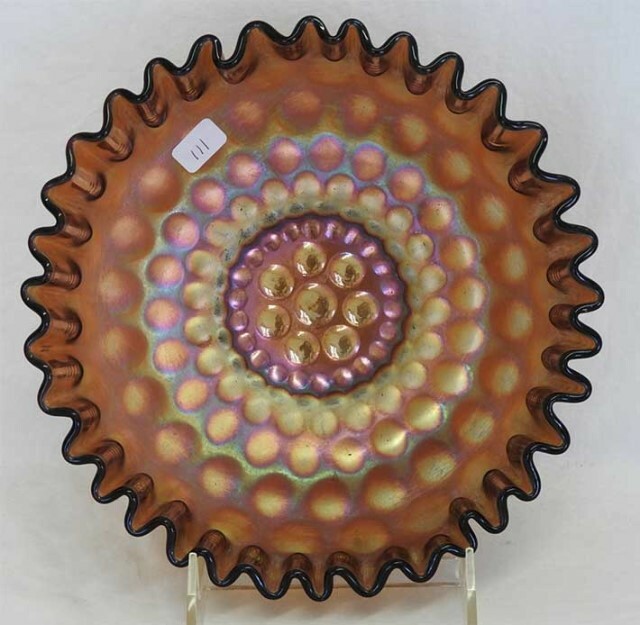 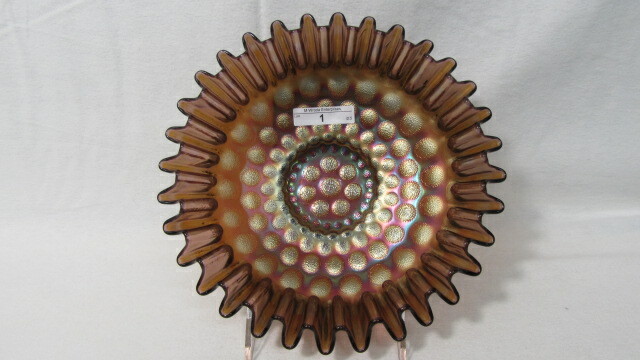 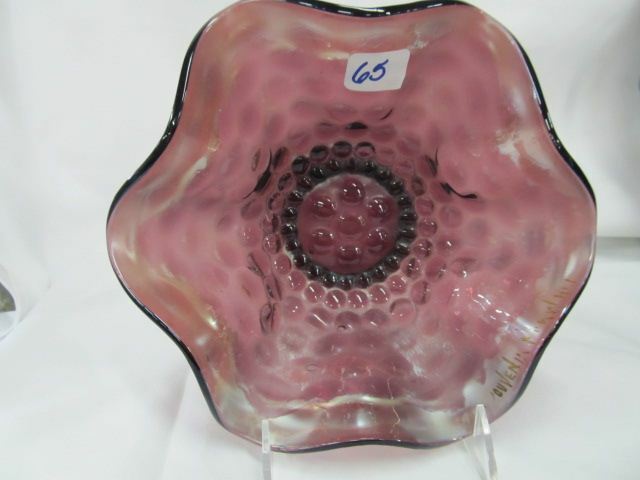 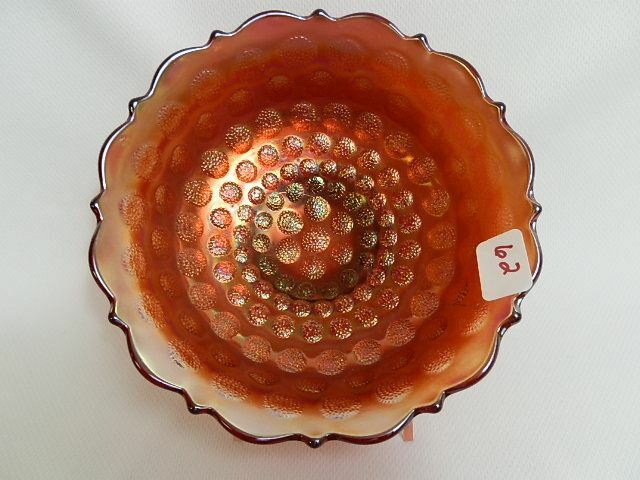 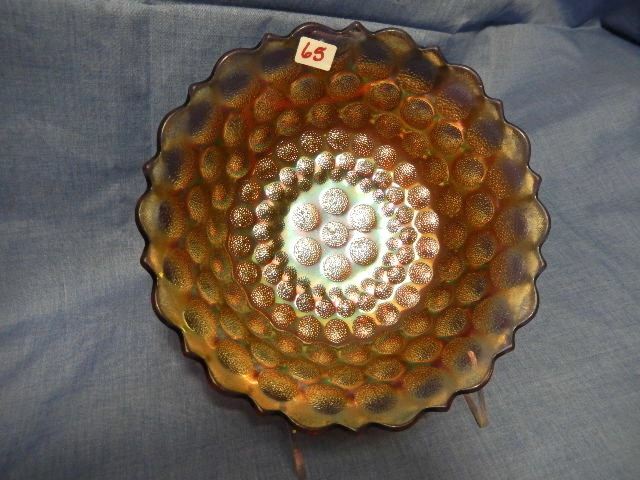 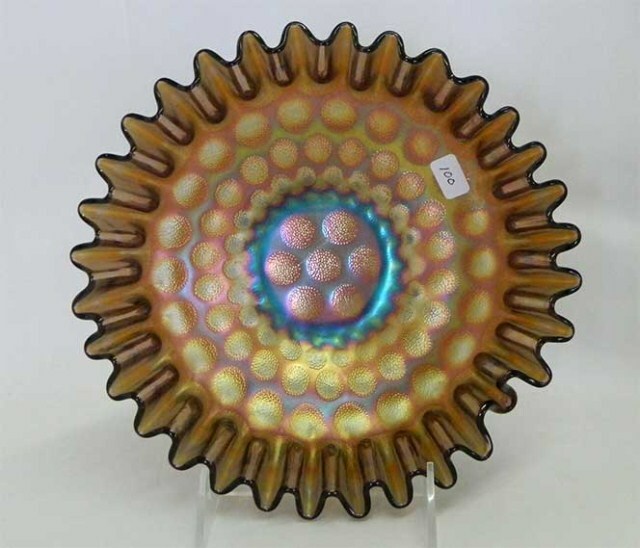 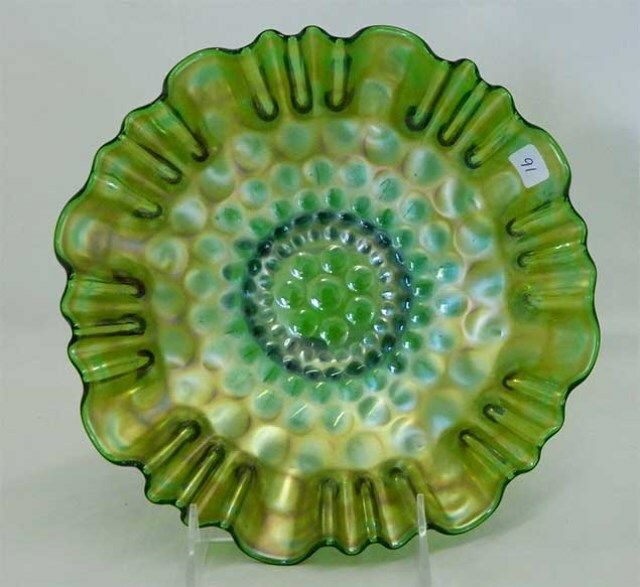 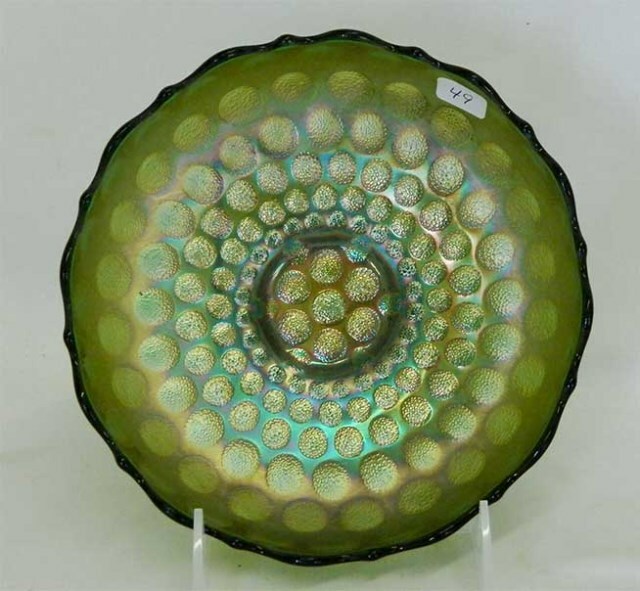 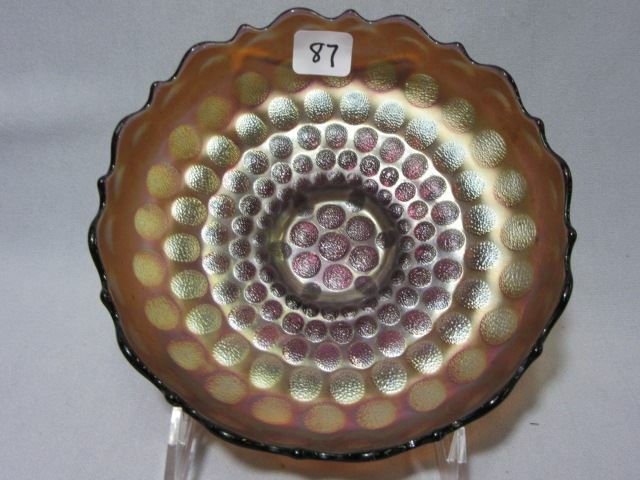 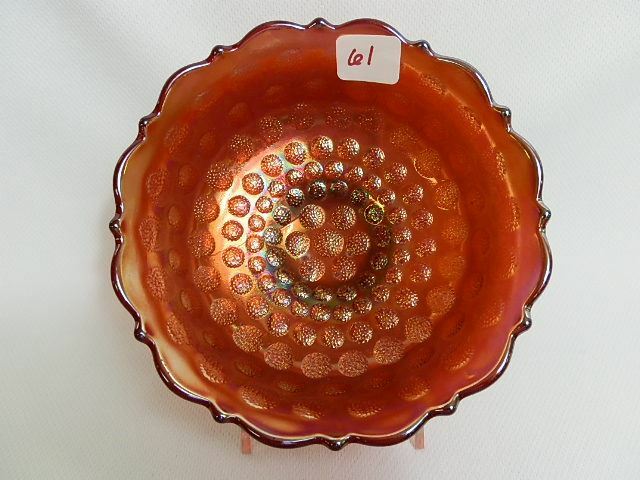 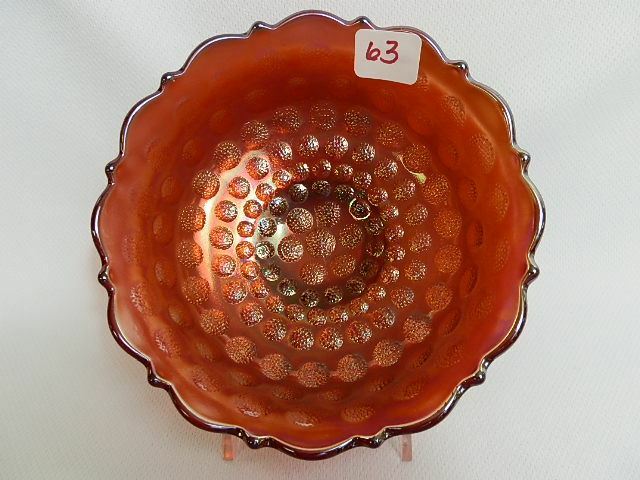 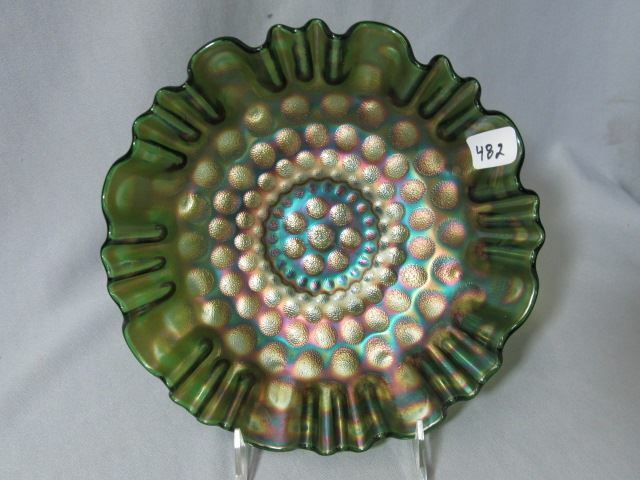 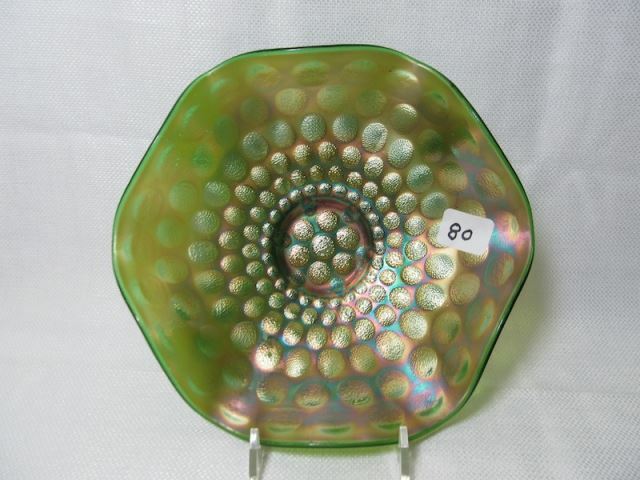 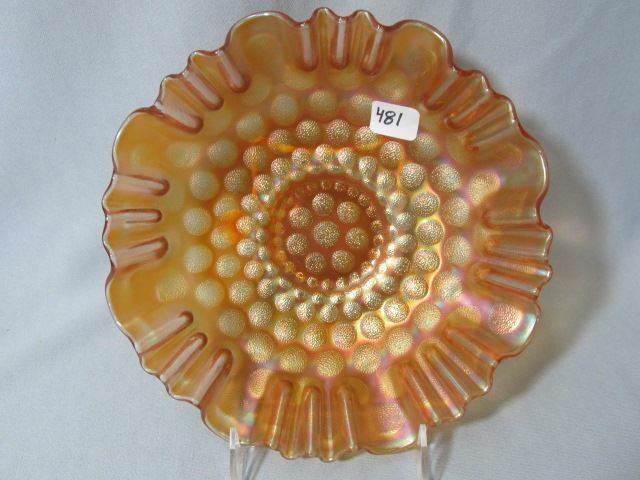 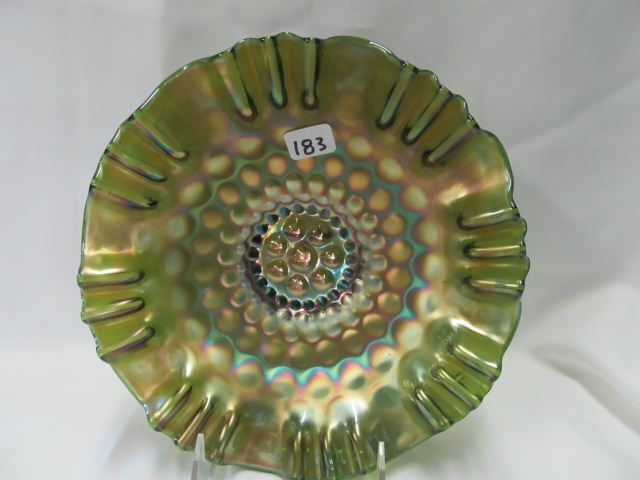 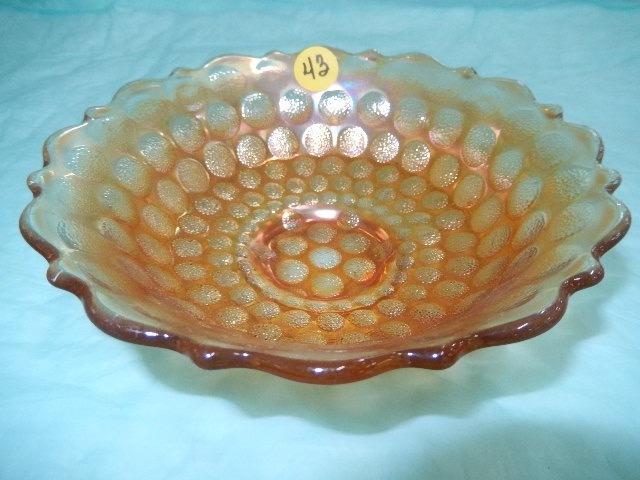 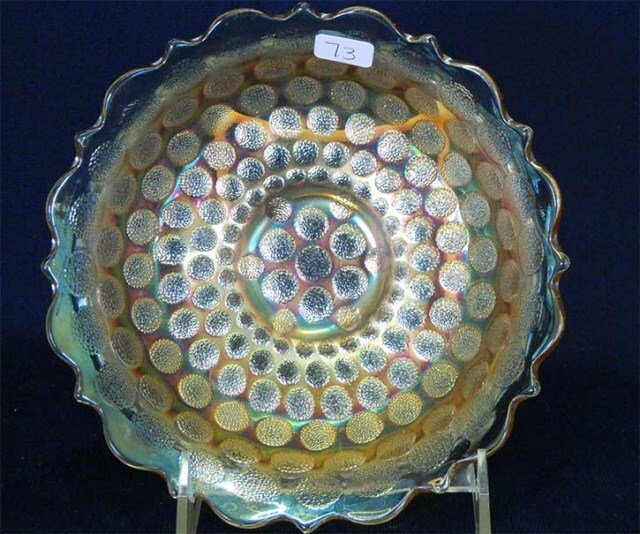 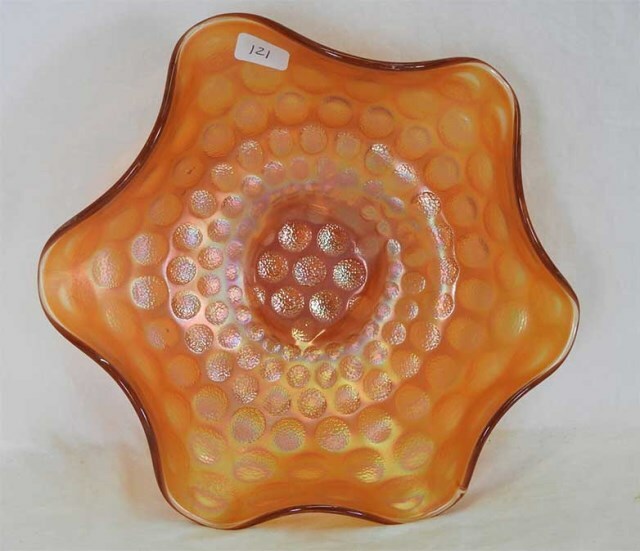 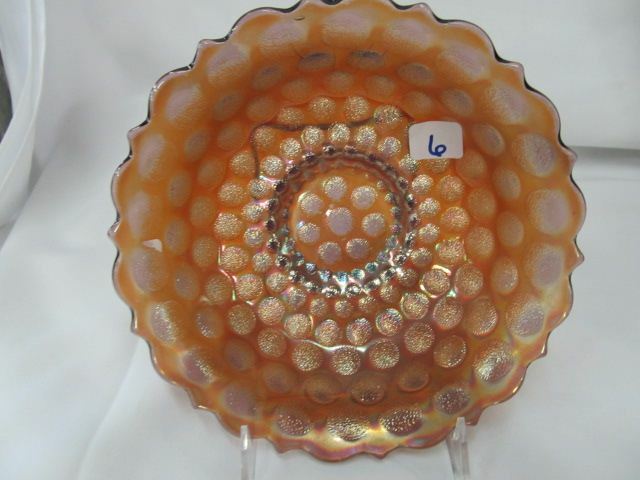 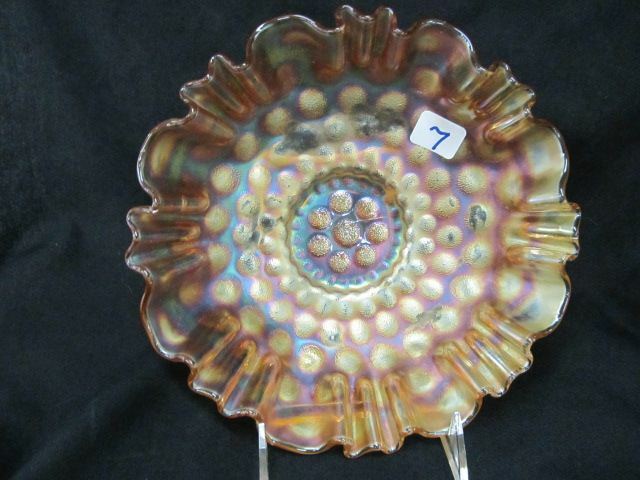 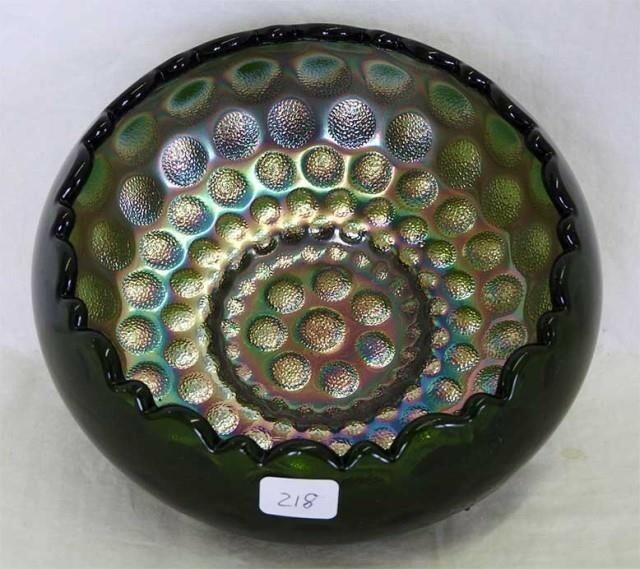 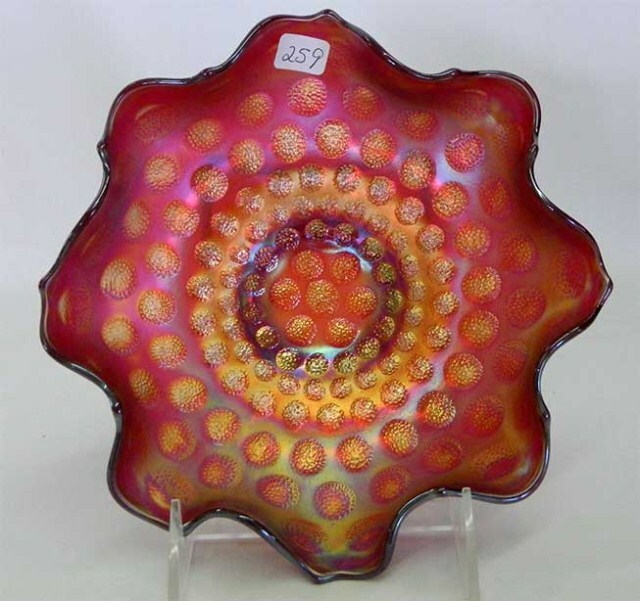 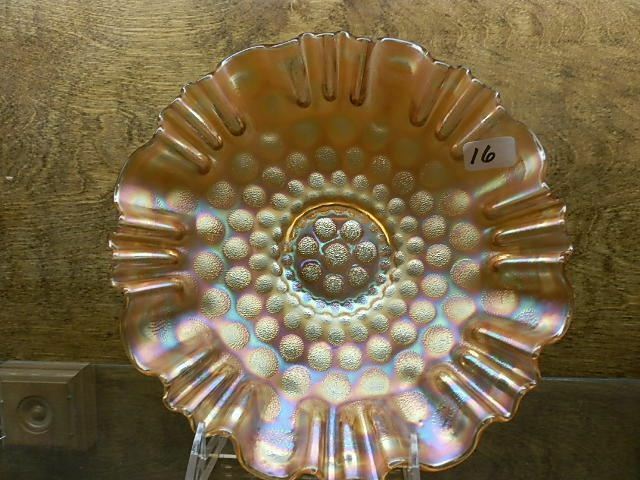 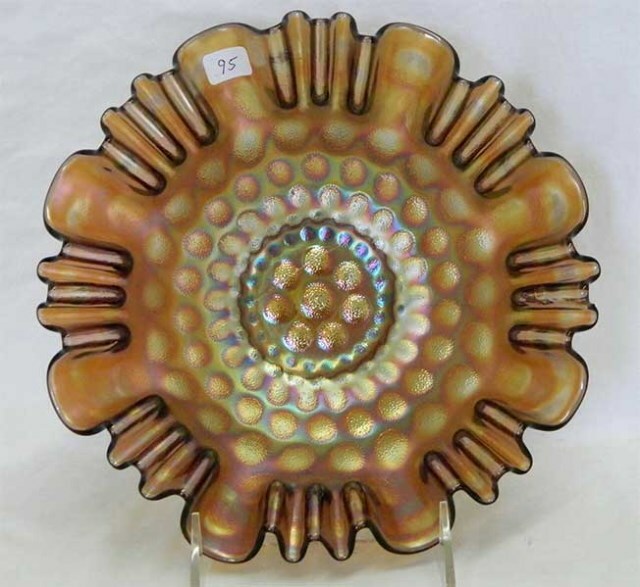 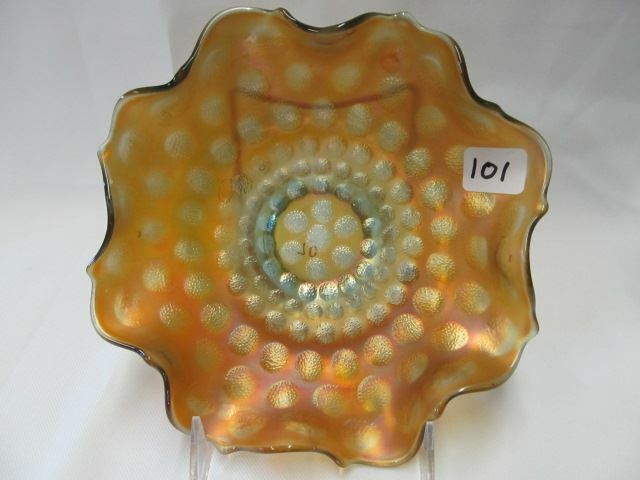 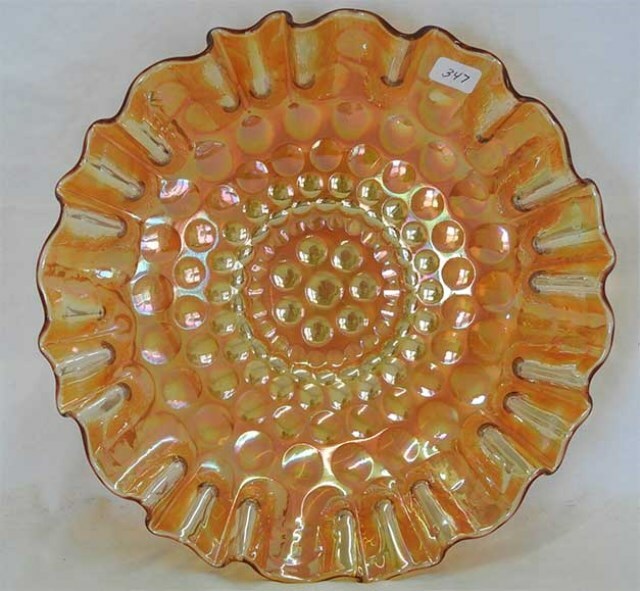 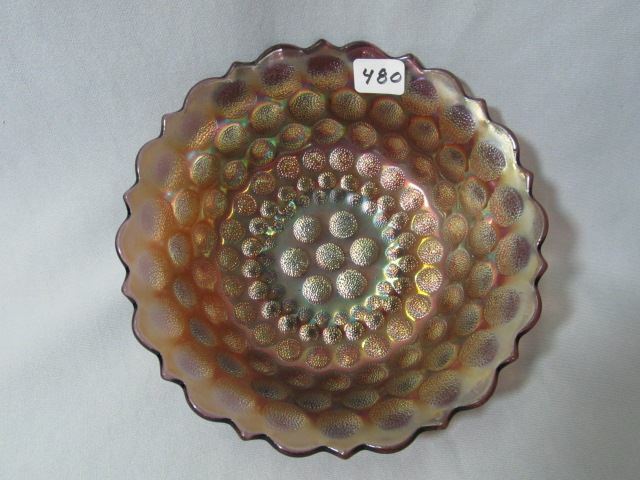 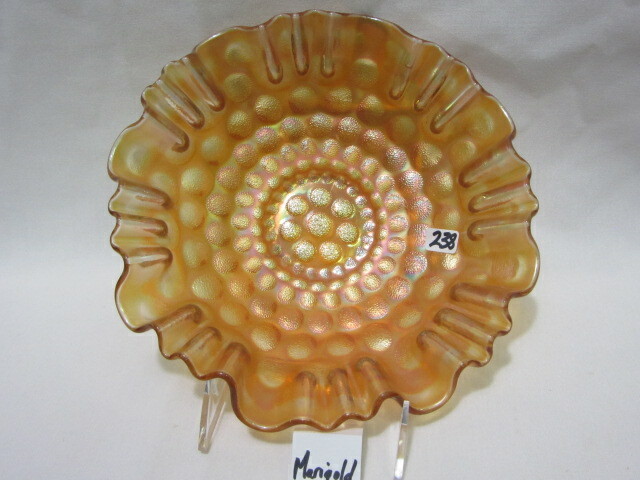 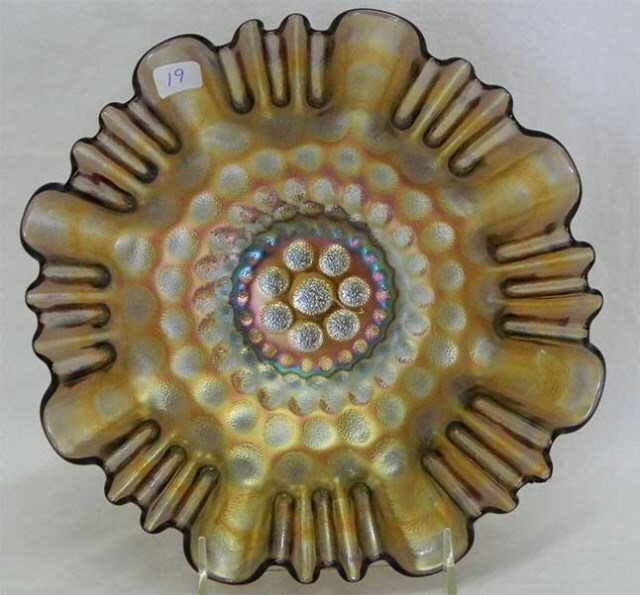 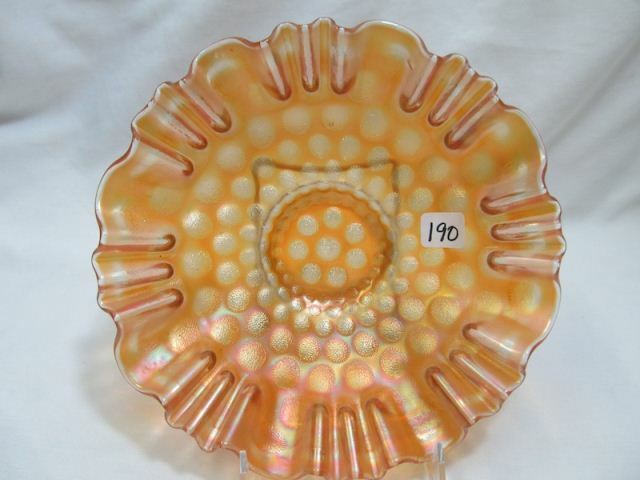 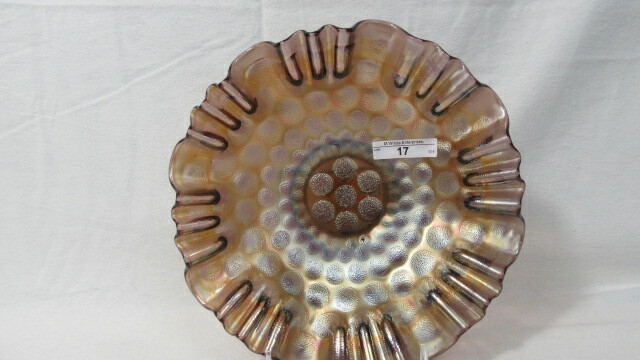 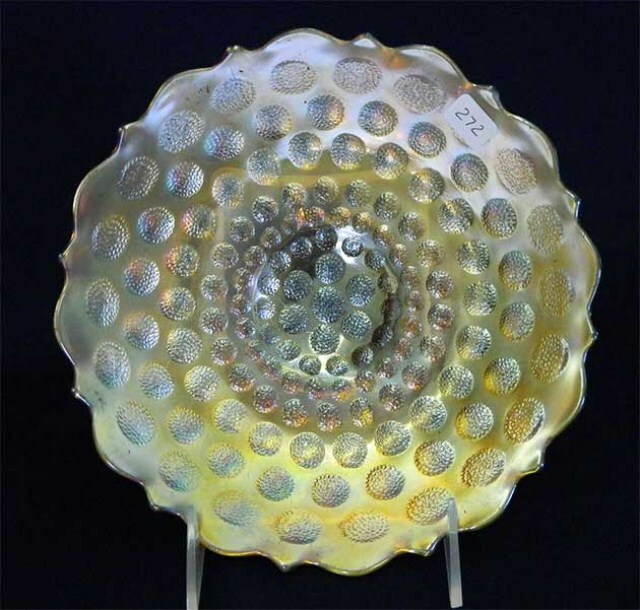 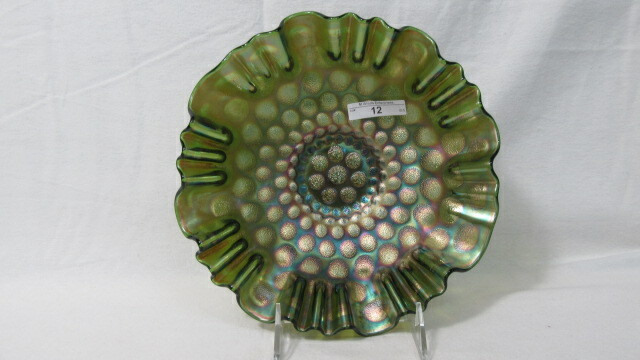 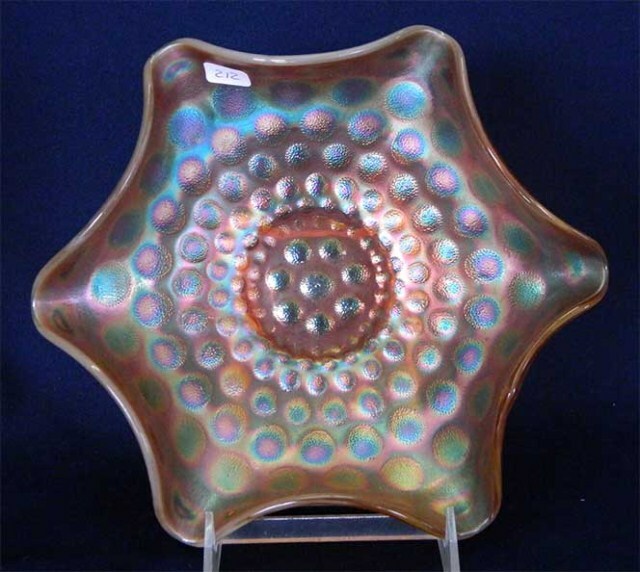 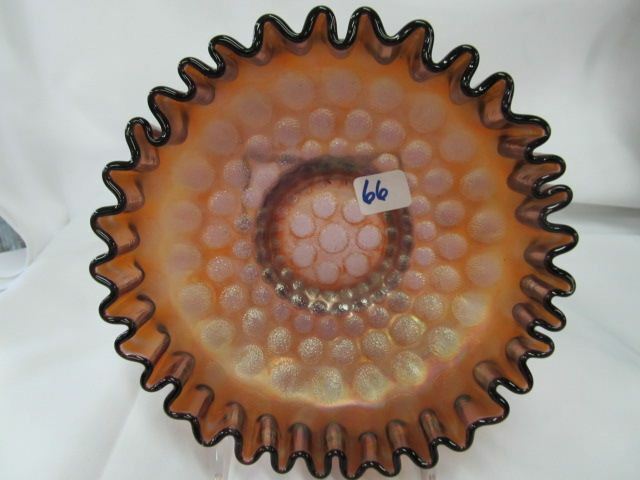 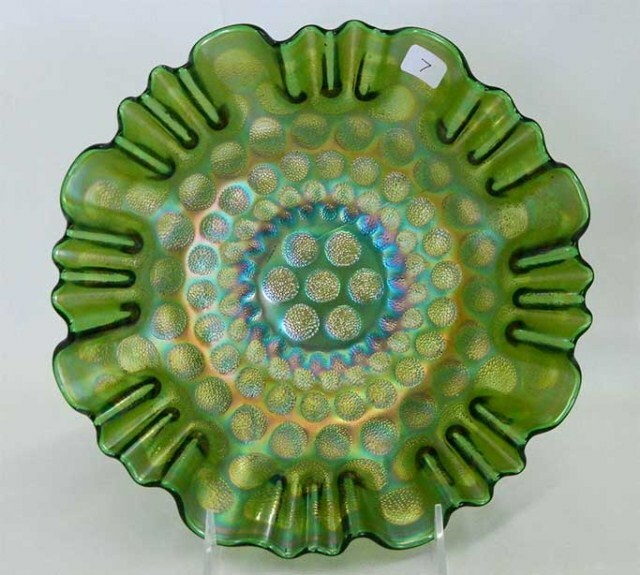 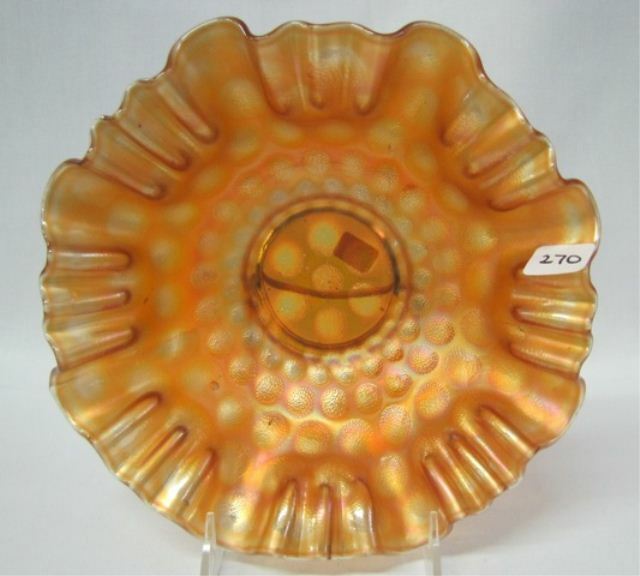 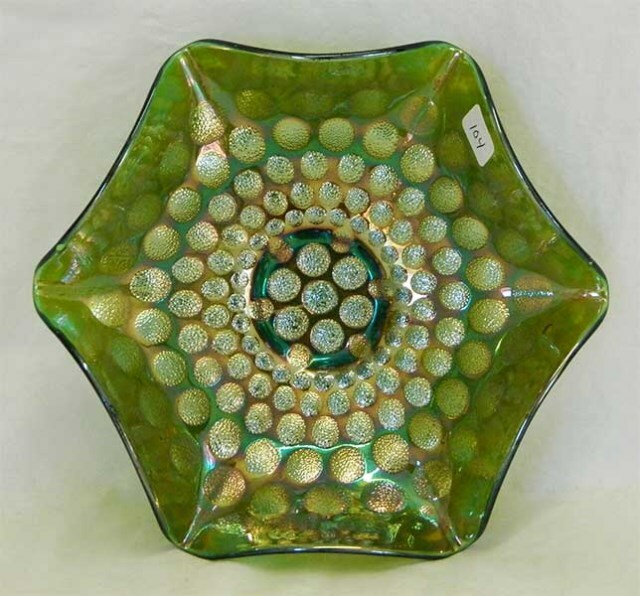 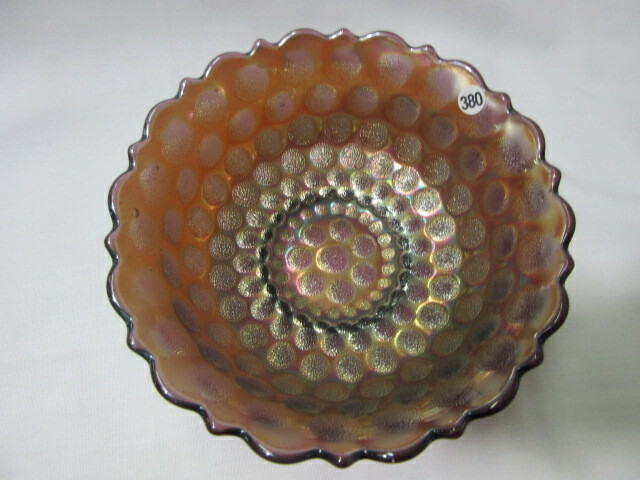 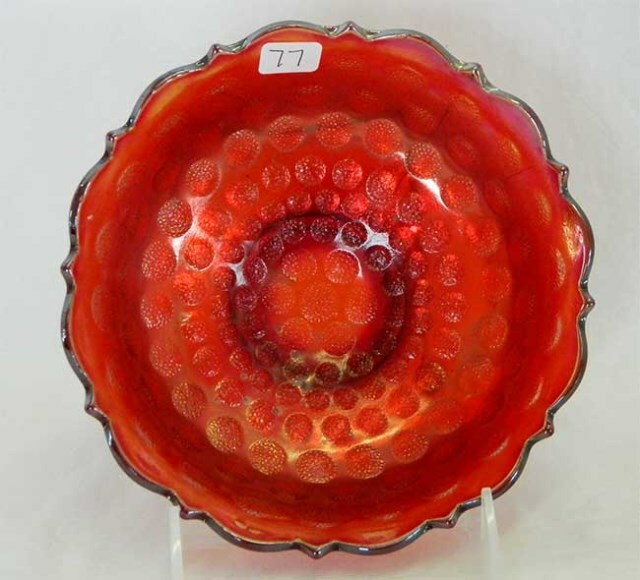 All rosebowls, whether with stippled or plain dots, are thought to be Fenton's Coin Dot. 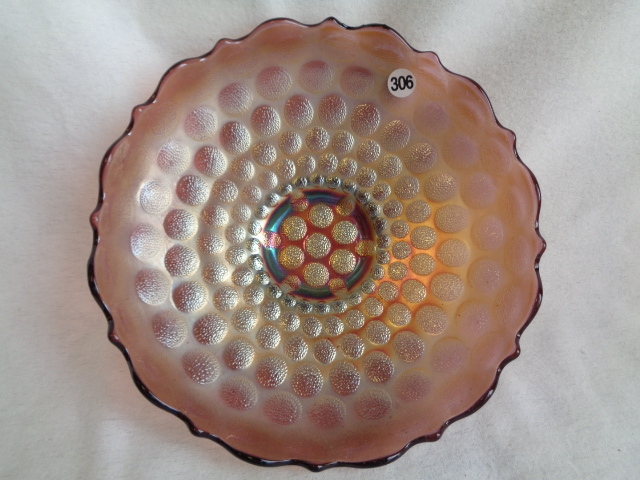 Fenton's Coin Dot is distinctive for its large dots, either stippled or plain. 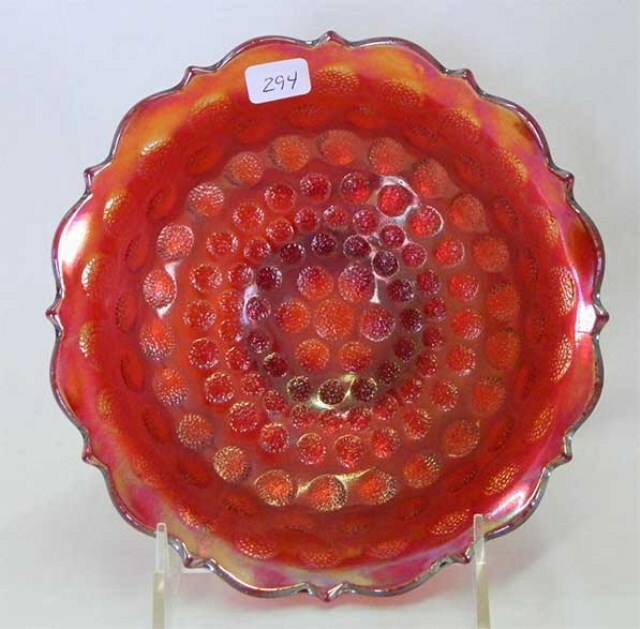 A fairly common pattern rarely selling for much except in red. 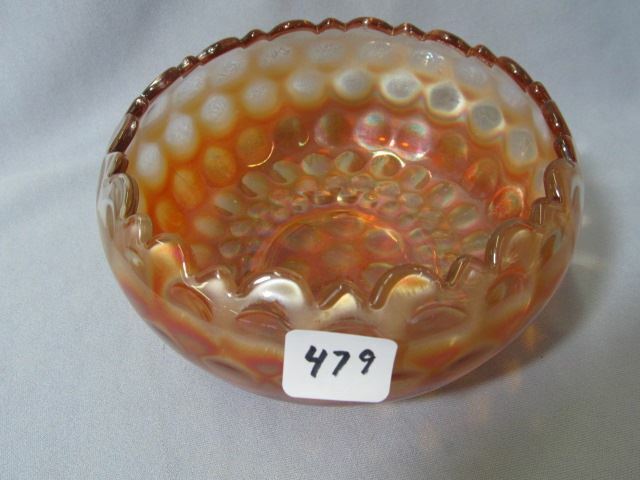 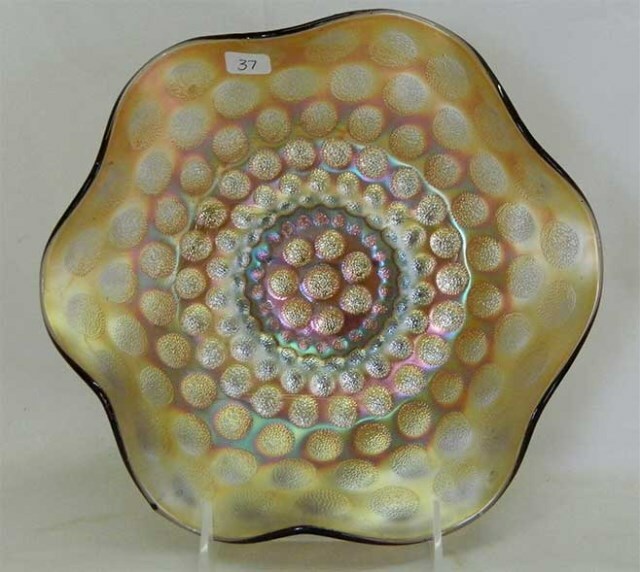 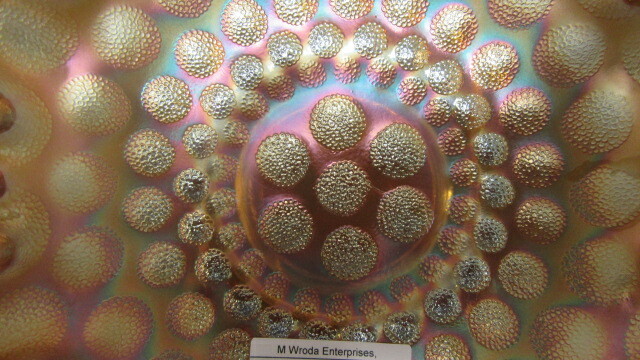 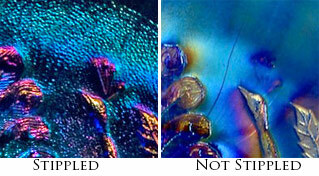 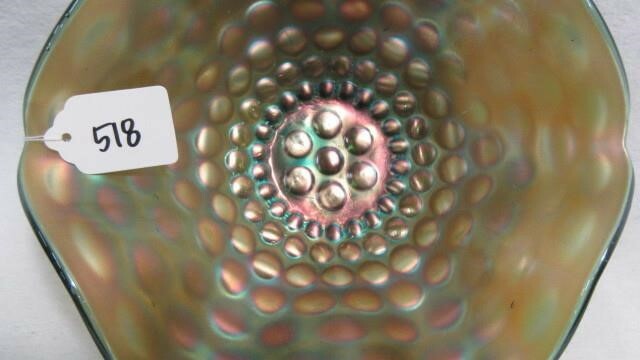 A similar pattern, with smooth dots only, is generally thought to be Westmoreland's Pearly Dots. 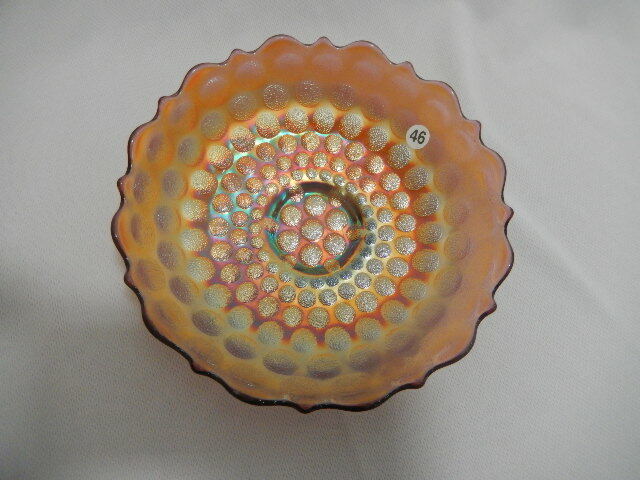 Coin Dot is sometimes mistakenly listed as Coin Spot, a Dugan pattern found only in compotes. 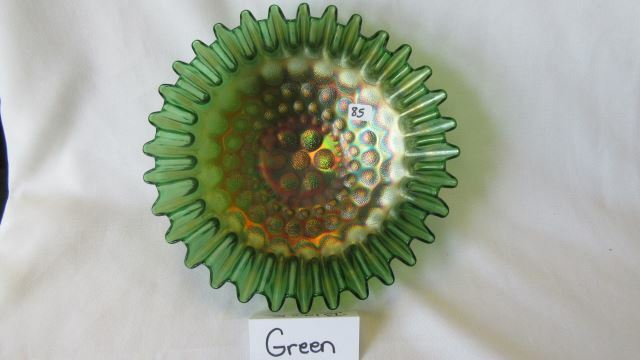 Easily found on eBay in common colors.